Professional inflatable movie screens and complete outdoor cinema packages from the USA’s most reliable source. AIRSCREEN® is the world’s best outdoor movie screen, and we package these amazing 12′ to 80′ projection screens with high-performance HD projectors, pro audio, rack mounted control consoles, and Outdoor Movies unmatched 20-year reputation for product knowledge and enthusiastic support. Screening services for scrutinizing eyes. Best-in-class outdoor and indoor motion picture and digital cinema screening services for large scale events. Outdoor Movies is renowned for renting the industry’s most impressive projection and sound technologies. 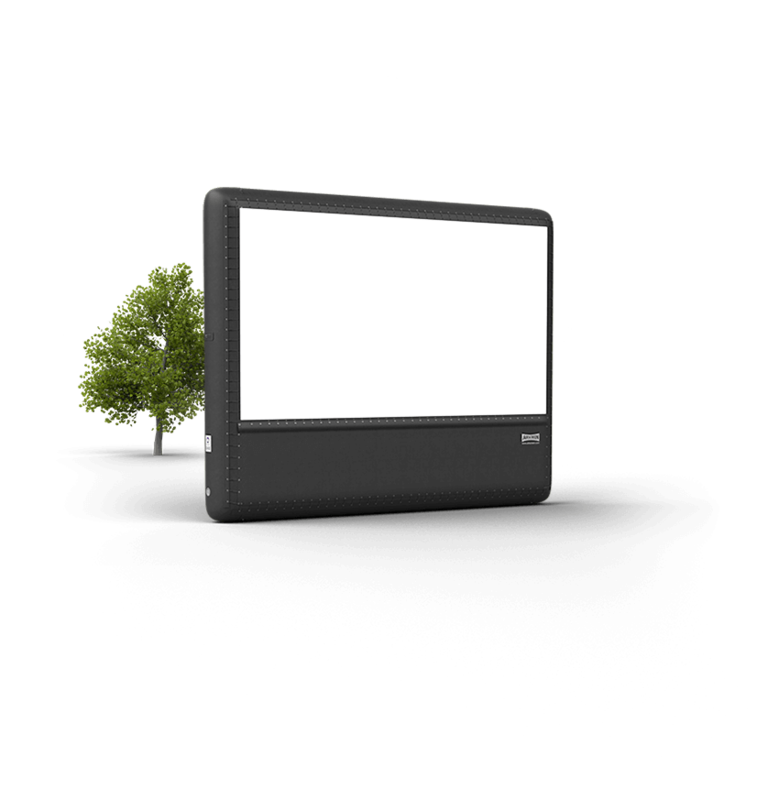 AIRSCREEN® inflatable movie screens are rock hard like a tire, and do not bend, flex or move in the wind. Outdoor Movies is trusted worldwide for candid, informed, affordable product recommendations. Reach us day or night for service and support. 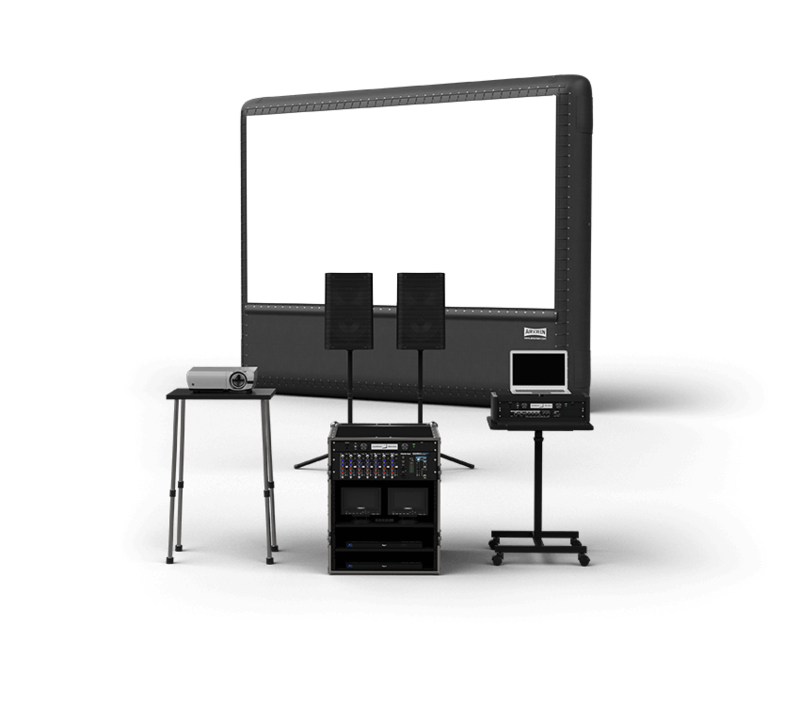 We sell and rent only professional-grade equipment for indoor/outdoor motion picture entertainment. Thanks for the speedy delivery, we’re not too used to that kind of service. It was awesome! Great crew, many thanks to Chris and the entire team. Absolute pros! Thanks Bob for making this happen! The season was a huge success! Your guidance on the equipment was spot on, thank you. We are getting amazing feedback on the Throckmorton Theater tech experience from filmmakers that have come with films for years! Bob is the best! He provides great service and shows an obvious passion for both his products and what he does. Thanks for everything Bob! It was a pleasure working with you and your team. It was a great fest! Thanks to DTA for a being a big part of that success.